Pengana Capital Group has added a new business development manager to its distribution and marketing team, as a newly created role responsible for managing relationships with the regional NSW advisers. Ryan Crewe will be taking the job, joining Alex Keen, regional business development manager, NSW and ACT at Pengana. The firm said advisers in regional NSW represent around 67 per cent of advisers in the state. “We’re very pleased to expand our distribution team in NSW to support regional advisers. Ryan has a demonstrated track record of managing long-term relationships and supporting advisory businesses,” Damien Crowley, director of distribution at Pengana said. 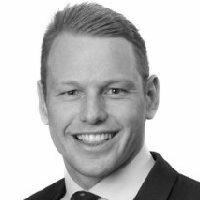 Mr Crewe joins Pengana from BlackRock Investment Management, where his most recent role was in the business development team, responsible for business development and client relationship management across regional NSW and ACT. Prior to that, he was a junior investment analyst at boutique funds manager APT Wealth.